Pies had long suspected that Arsene Wenger viewed Arsenal as the French Embassy in London. And what have we here? 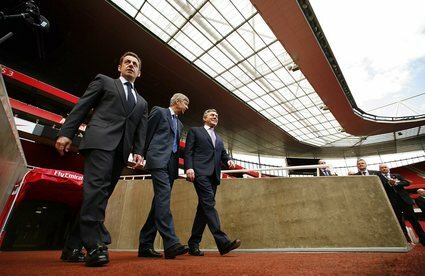 Monsieur Wenger is now hosting state visits from French President Nicolas Sarkozy at the Emirates Stadium.